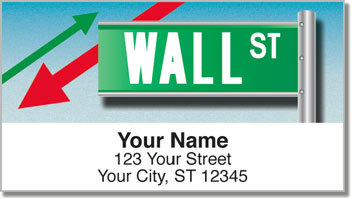 If the finance world is where you spend your time - this might be the perfect way to finish off all your outgoing mail. 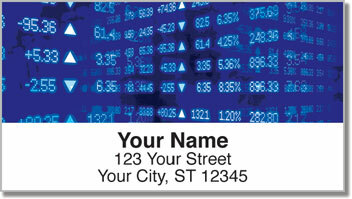 Eye-catching address labels feature the imagery of Wall Street. Investing can feel like you're on a roller coaster ride. But the wisest investors know that while things may seem out of control - it's possible to pick the right stock - if you do your research. You'll love how these handy address labels help you save time completing an everyday chore. Just peel and place one on each envelope and then move on to more important matters. 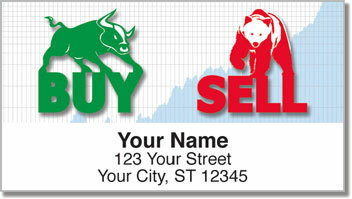 Get your very own Stock Market Address Labels from CheckAdvantage. 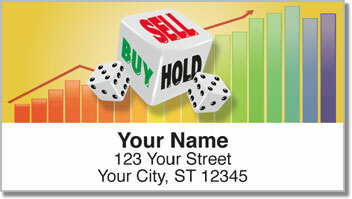 You can get free shipping on this product as well as matching checks and custom checkbook covers!